In California in 1951, Mulligan formed the first pianoless quartet, an innovation which would influence musicians for decades to come. The quartet, which featured Chet Baker on trumpet, Carson Smith on bass, and Chico Hamilton on drums, became a focal point of the West Coast Jazz movement, even though Mulligan had always maintained headquarters on the East Coast. Later groups featured Bob Brookmeyer, Zoot Sims, Art Farmer, and Red Mitchell. With his quartet, Mulligan often toured with Duke Ellington, whom he names as his favorite composer, and with whom he shared a passion for trains and railroads. Ellington composed “Prima Bara Dubla” for Mulligan and his good friend, baritone saxophonist Harry Carney. Mulligan continued to lead small, medium-sized and large bands, all of which evolved from the pianoless quartet idea. 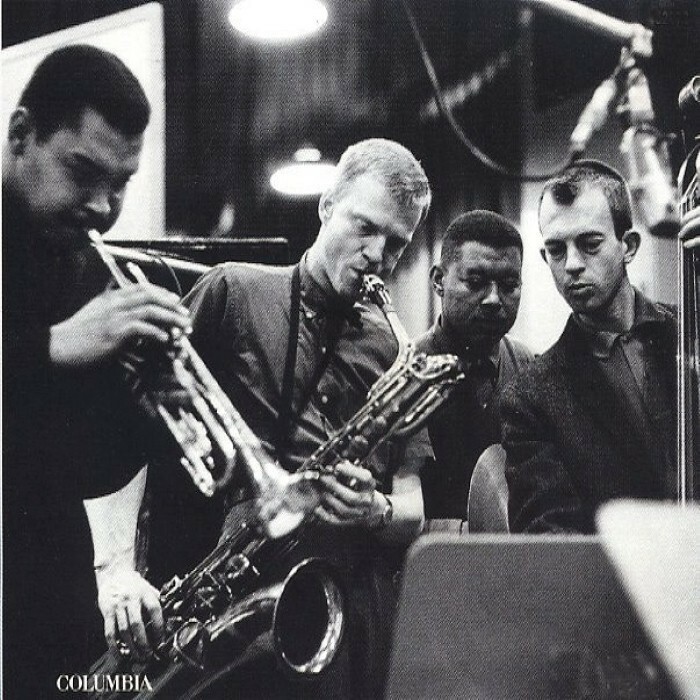 “I’ll always think as an arranger,” Mulligan explained, “each band represents another writing approach.” In 1960, Mulligan formed the first Concert Jazz Band. The band appeared at the Village Vanguard in New York and featured the pianoless rhythm section, five reeds, including Gerry, and six brass. Gerry toured North America and Europe with the band and recorded five albums for Norman Granz’s Verve Records. The album Holliday with Mulligan, recorded in New York in 1961, included four tunes by Gerry Mulligan, with lyrics by Judy Holliday, with whom he had a relationship from the late fifties to the early sixties. It features Ralph Burns, Bill Finegan, Al Cohn, and Bobby Brookmeyer. The album was not released until 1980.